As many of you know, once a week I post a story about one of my expat-life (mis)adventures. This week I succumb to serious competition: The Christmas Story. My husband and I lived in Ramallah, Palestine for some time and we traveled around in Israel and the rest of Palestine. We made a trip to Nazareth and visited the Church of the Annunciation, a building of beautiful contemporary architecture, full of art work donated by many countries around the world. We also visited Bethlehem and the Church of the Nativity, the oldest church in the Holy Land. We traveled by car. The distance between the two towns is considerable. In the Christmas Story, a young woman by the name of Mary, 9 months pregnant, travels from Nazareth to Bethlehem on a donkey (it is assumed she rides a donkey, but it’s not actually stated so in the Bible). Now, I’ve been 9 months pregnant (twice) and I know that riding a donkey in that condition, even for a short distance, wouldn’t be my preferred form of transportation. Probably Mary would have preferred more comfort as well had she had a choice. I’m quite sure had she had a choice she would not have traveled at all and stayed at home with her feet up. Unfortunately, Emperor Ceasar was messing with people’s plans, as history tells us. NOTE: The Christmas tree is known as a symbol of the Christian holiday it is named after, but in actual fact has its origins in pagan customs. Ours is a fascinating world, don’t you agree? Go ahead, tell me something interesting about your traditions and holidays. I know you have stories! What a wonderful blog. Glad I stumbled onto it! I’m amazed: five days ago, I started a post about Christmas trees and how they’re not really a Christian symbol as such (in Jeremiah, there’s a fairly obvious condemnation of the practice of decorating trees by gilding them, bringing them into the house, and ‘worshiping’ them). And now I read this! Jinx! Just going to and from the ob/gyn by car was hellish for me when I was nine months along; how the original Mary stood it on a donkey beats me. Having spent 8 Christmases in the Middle East I have to say I never got used to Christmas in a warm climate. It just didn’t seem “right” to me, having always experienced cold weather, if not snow at Christmas. Which is really stupid if you think about it, as Christ was born in a pretty hot and arid country. 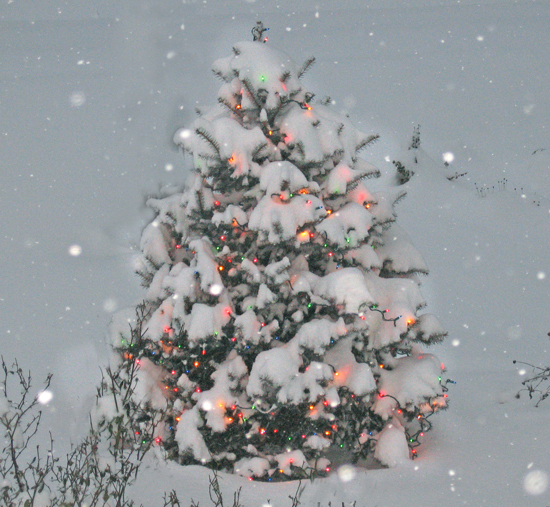 This whole “white Christmas” thing is just an invention of the last 100 years or so. For the first time in my life I spent the holidays in a warm and sunny climate. Did I miss the snow? The sleet? The ice? The rain? NO!!! I’m thinking of doing this every year. Do you also have a tree indoors? Lots of snow. We have none. I thought of you yesterday with the Amsterdam plane incident. Thankfully you did not come back on that flight. I prefer Christmas Eve than Christmas day. Denmark celebrates on the 24th, with dancing around the tree after dinner. I cannot get my American kids and husband to cooperate, so we do it the American way on the 25th. Hi.. You have very interesting posts in your blog..
Hope to read more of your adventures as an expat.